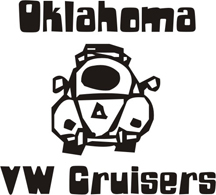 Oklahoma Vw Cruisers • Newbie and idle/carb issues? I could be totally off my rocker on this but the beetle just doesn't seem to be idling right. It's a 77 FI converted to carb with a Solex H30/31 carb. I bought it about a month and a half ago and have been plunking around on it getting little stuff done. Started working on the tune-up the last few days. I changed the oil, pulled the plugs (they were black and fouled up but not oily) and I replaced them with NKG plugs gapped at .028, checked the timing and it times at 7.5 BTDC and max at 30 BTDC. The Bug has seemed to stumble a bit on the idle ever since I got it. The engine was rebuilt recently when it was converted to carb. The Compression was perfect on each cylinder when I checked it yesterday before installing the new plugs. So, I decided to try to adjust the carb to try to correct the stumble in the idle. I let the car warm up until the idle adjust screw was on the bottom of the cam and the butterfly was vertical and then shut the car off. I turned the volume screw in (gently) all the way and then back out 2.5 turns and the started the car. Adjusted the idle to 850 and it was stumbling pretty bad, smoother at closer to 900. Went back to the volume screw and begin to carefully turn it back and forth until the idle went up about 25rpm (hard to tell on the dwell/tach) backed it off slightly and then bypass screw back to settle rpm at just under 900. It now seems worse than before. Cold start this morning it was stumbling and had to keep foot on gas to keep it idling until it warmed up and then it idled but seemed to idle rough. It also seems to idle even worse after you shut it off and then restart a few minutes later. Granted, this is my first beetle and my first time doing this stuff on any car but I'm pretty mechanically inclined and being a science teacher I did my research before and have been using instructions from Muir and VW-resource.com but the hardest part is not having a good grasp of what's normal and what's not since this is all new to me and I don't have any other bugs around. Any help would be awesome. here is a video of me starting it (warmed up already) and then the engine running. Last edited by dubdad on Mon Aug 29, 2011 8:32 pm, edited 1 time in total. Re: Newbie and idle/carb issues? you ain't timed @ atdc, it's btdc. you need a larger carb on that engine, what distributer do you have? Thanks gimpy60 I don't know what I was typing when I did that It has a 009 distributor with electronic ignition (from what I can tell). That's the carb that came on it. Will it work for now? I'm a public school teacher and you know how that is. bugman55, are you talking about the screw that touches the idle cam or another screw (sorry, still learning this stuff)? I have the Muir book and a Chilton but haven't ordered the service manual yet. Would it be in either of those? I took the spark plugs back out and they were all fouled up so I cleaned them and put them back in. Started it back up and made a slight adjustment to the idle, re-adjusted the volume control screw and it seems to be running smooth. Even ran the fast idler when I first started it. From what I know, the PO traded heat and air work for the conversion to carb and engine rebuild from a guy that been working on them for 40 years or something like that and the engine looks great but It's hard to tell what is supposed to be there and not. When I am working on it and getting parts, how do I decide what year of parts to go with. The engine is a 79' according to the engine number. but with the carb conversion, how much would be different? I still have the hoses from the emissions stuff coming out on the right hand side of the engine compartment as well as all the electrical connections for the FI. The PO also gave me (what he said was) all the parts to the fuel injection (two 5 gallon buckets of parts and hoses). He said that two of the injectors were clogged and he decided to have it converted instead of fixing it. Can you put a stock air filter back on it from like say a 74' (the kind without the oil) and does it matter? Sorry, I'm a sponge for learning this stuff wherever I can. I bet they drilled the main jet out, and have the idle screw all f,d up to make it run. And you got the crap end. A new carb I can sell you for 100. But I'm sure if this is rigged that way once you get it goin you'll fond a billion more things wrong. How do you figure out if they drilled out the jet? I shold have left it the way it was but it was running rich and foulong the plugs so I thought I'de try my hand at carb adjustment. The PO mentioned that it was set up to run a little rich. It used to start real easy cold before I adjustd it. It's still runs well and starts ok but it now needs a little accelerator to get it going when its cold and it didn't before. Should I take it to someone to get all looked at so I can figure out what was done or is there a way to sort this out on my own as was the plan. It's a great car it's just that I didn't have much history to go on when I got it and am having to check it out piece by piece to make sure things were done right. Only way is to compare it to another of the same size, or a jet size gauge which most don't have. I just find it odd a carb that small is running rich enough to foul plugs. Most shops won't mess with it unless it has proper carb on it. Then your gonna pay at least 60 an hour. Best thing is get the idiots guide and put it all back stock like a non-fi car so you can trouble shoot better. Ultimately putting it back to stock is what I want. I read on airhead parts that the pict 34 won't work with the 009 distributor. Is that correct? That pict 34 you have, is that new or rebuilt? I read on aircooled.net that those were difficult to rebuild. Is that the case? If I switch it, would I just change the distributor and carb and then tune? Once again, thanks for the help. Is there a good source for the distributor that's not going to cost an arm and a leg? Nahh, you can get both to work good enough, it night not be perfect, close enough. People pit the 009, because its Cheap. 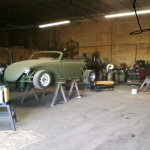 If it runs enough to drive, roll it out here with some beer, me and gimpy can check it out. Where you all at? when could you take a look at it? What type of beer? It's actually driving well right now and has been. It's just that sometime the idle is rough enough to bump the car a bit and I don't like that it the plugs were fouled up on it. If I ended up getting a vacuum advance with a pict 34, does the brand of distributor matter? I already have electronic ignition in the 009, can that be moved into a new distributor? Brand is usually Bosch, get it from a Vw shop , not autozone. Vdubjim, is the carb you have 34 pict and is cleaned up and rebuilt or would that need to be done? What brand is it? I like the svda distributor from aircooled, I'll probably order it from them when I do. the svda is good from what ive seen, never ran one. Aircooled is a great site but one of the most expensive there is, i would look elsewhere. Would that carb be a good one (better than say a eromax, empi, etc.)? Would it work as is or would it need to need to be re-jetted? Airheadparts has those two brand of the 34pict3 for 149 and 159 plus shipping of course. those empi ones are all from the same factory. airhead parts carb is not a solex/brosal original for those prices. Sometimes on them you have to put in a bigger jet. bethany and larrys have them im sure. Where could I ge a rebuilt locally? Larry's? Bethany has the Bocar for around 200 and the distributor for 125. I'll just get it all from them and support the locals for once. Bocar 34pic for 200? Seems cheap for them. If distributor is not Bosch again cheaper online. I went out to mess with the carb on there more, and decided to check the idle adjuster screw. It was screwed in about 3 or 4 turns past touching. So, I turned it back out and then back in until just touching and then in 1/4 turn and it was idling at about 400 and I couldn't get it to change at all by turning the bypass screw. I ended up turning the idle adjuster screw back in just to get it to idle right again. Man I should have just left the whole damn thing alone. Just couldn't leave good enough alone. Look online at how to adjust it. Didn't know a 31 had 2 screws. Yeah. The only difference is that the idle adjuster screw is set and not changed after. Then the idle is adjusted using the bypass screw. Then the volume screw is adjusted the same as the others. Ugh! Ever get this fixed? The 009s don't like the electronic ignitions. They really need the vacuum advance to work right. I heard this carb didn't have a strong enough vacuum for the vacuum advance to work properly. It was running fine but really rich even with volume control screw all the way in. One of the jets is clogging or something because it started sputtering on the bottom when you hit the accelerator. Or it could be air in-leakage from th manifold.